My crochet group are off to a great start with the granny squares for our third charity project. I have just finished joining and edging the first baby blanket. Another member of our group has put together a second. I know this because she sent me a photo of her edging this week. It is marvelously elaborate and taken from a Japanese book of granny squares which has no English instructions in it whatsoever. Imagine that - just photos and charts. My edge is single crochet followed by crab stitch (reverse single crochet) and viola here it is pre-blocking. 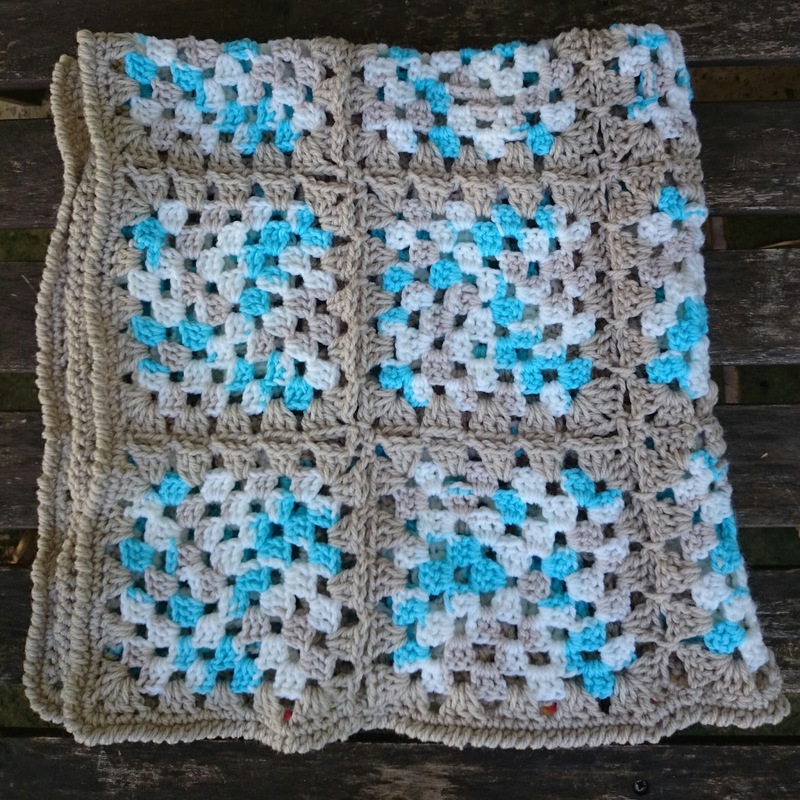 My theory is that the beauty of the granny square blanket is all about the join. I have chosen a wonderful technique taken from one of my all time favorite books: Connect the Shapes crochet motifs by Edie Eckman. It's a join as you go continuous final round with a flat slip stitch connecting in the adjoining seam and best of all it's incredibly inconspicuous. I enjoy doing it. I never thought I'd say that about joining squares. There is an ever so cute flower in the corner of each join. It's fantastic. 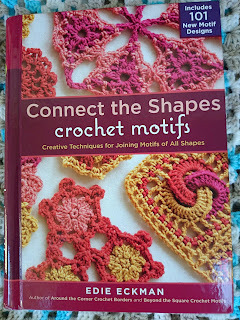 I can date my obsession with granny squares back to two books I received for Christmas a few years ago: Crochet Motifs by Edie Eckman and The Granny Square book by Margaret Hubert. I also had a voucher for yarn that year so I remember buying Cascade 220 in a dozen odd non-matching colors and making huge numbers motifs from the books (there are 219 patterns in total). Looking back now I find this behavior slightly insane because the colors don't match and the sizes vary massively and they have been added to my large bag of "random crochet pieces to make into an amazing freeform creation one day." I wonder if anyone else out there has a bag like this? Anyway I am happy to report that the group are really enjoying the granny squares mainly because they work up so quickly. 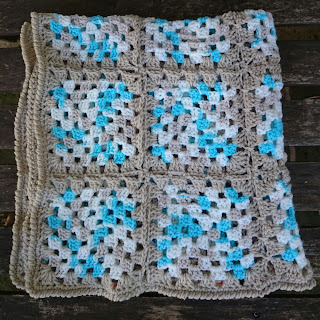 One thing we are finding is that the size of the granny squares varies massively depending on each individual's tension so we are combatting this to a small extent by changing the hook size up or down. 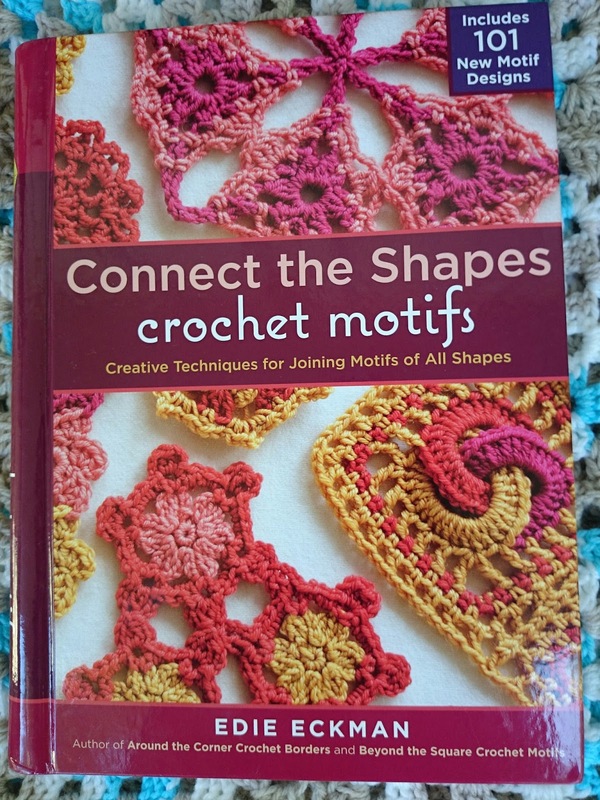 We cannot readily alter stitches or rows with granny squares as we did with the single crochet squares of our first project. So we are sorting our squares into different size piles at the pre-join stage. It's all fun!